It is an exciting time for the space industry. Around the world, launch vehicles, spacecraft, and novel applications and technologies are being developed in order to leverage the newly-accessible final frontier. As barriers to entry continue to fall, and private industry assumes a starring role, a few international hubs of commercial activity are likely top of mind—think major entrepreneurial space players like the United States, Europe, and … China? While authoritarian China may seem an unlikely incubator for entrepreneurial space ventures, the vast Republic is ratcheting up its spacefaring capabilities across both government-run and privately owned sectors. China’s increasing off-planet influence raises questions about whether the country’s efforts should be taken as a threat to the U.S. space industry, or whether American space entrepreneurs might view China’s progress as a potential boon. China’s space ambitions—and rapid technological advancements— were a hot topic at February’s meeting of the National Space Council. Throughout those years, China’s space ambitions have been watched closely—and often warily—by those keen to safeguard American military and commercial interests. The U.S. government’s response to a potential adversary rivaling American dominance off-planet is, perhaps, unsurprising—especially considering the exceptionally close ties between China’s state-run space program and the country’s military. 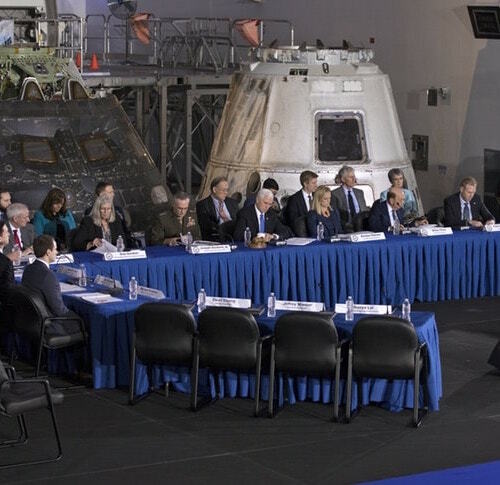 This wariness was on display at the most recent meeting of the National Space Council at Kennedy Space Center on February 21st. A panel discussion on national security highlighted China’s increasing space presence as a potential cause for concern—but also as a potential boon to America’s growing private space industry. Indeed, space entrepreneurs on the NSC panel (notably Jeffrey Manber, chief executive of Space Angels portfolio company NanoRacks) voiced a more optimistic perspective of China’s activities than did representatives of the U.S. government. Per Manber, if certain caveats can be addressed, there exists in China’s space ambitions a significant opportunity for cooperation with American space companies. A growing commercial space movement in China may present opportunities for America’s entrepreneurial space industry. Since the middle of the 20th century, China’s efforts in space have been directed and overseen by various branches of government and state-run corporations. The country’s national space agency, called the China National Space Administration (CNSA), was established when the now-defunct Ministry of Aerospace Industry split into distinct entities in the 1990s. While the CNSA handles national space policy, its partner agency, the China Aerospace Corporation (CASC) and its subsidiaries are responsible for the design and manufacture of the country’s space technology. It’s true that government regulations and political tensions remain a barrier to true international cooperation between American entrepreneurs and Chinese space startups. NASA, for its part, has for years been forbidden to work with China due to “risks of espionage.” During the NSC meeting in February, Manber acknowledged that there are real concerns regarding intellectual property protection and technology transfer between the two countries—especially considering China’s increased militarization of space, its exploration partnership with Russia, and political posturing on both sides. However, NanoRacks itself is proof that it is possible to strike a balance between geopolitical concerns and commercial interests. In 2017, Manber’s company brokered passage for a Chinese university’s science experiment aboard a SpaceX Dragon bound for the ISS. 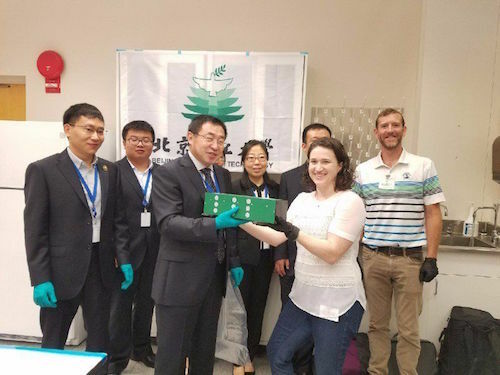 This marked the first-ever Chinese payload delivered to the Space Station—although Manber clarified that the move was not a political statement so much as a commitment to NanoRacks’ mission of democratizing access to space. China’s growing commercial space industry has thus far emphasized the launch services subsegment. As China’s government-led space rhetoric speaks of deep space exploration, lunar outposts, and orbiting space stations, the country’s private space companies are more focused on the commercial potential of small launch vehicles. To date, 14 commercial Chinese companies have raised $287M in funding. 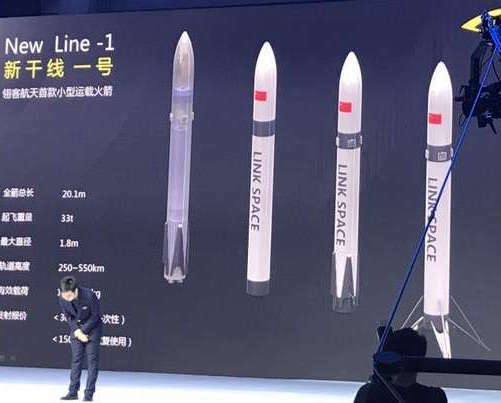 One such company, Link Space, is known as China’s first private rocket company. Founded in 2014, the Beijing-based startup is operating outside of the country’s massive government and military space complex. Last fall, Link Space unveiled its plans for a reusable launch vehicle, dubbed New Line 1, which would feature a reusable first-stage booster complete with vertical landing system. If that sounds familiar, there’s a good reason: Founder and CEO of Link Space Hu Zhenyu freely acknowledges that SpaceX and the Falcon 9 are his company’s “goal and guide." Ultimately, the New Line rocket would not be in direct competition with the Falcon 9. Link Space’s rocket is a small launch vehicle designed to carry micro- and nanosatellites to sun-synchronous orbit. However, the company believes that drawing inspiration from SpaceX’s reusable boosters is a smart idea: The New Line 1 would cost about 4.5M USD per launch with a new rocket, but a reused booster would reduce launch costs to about 2.25M USD. Hu has the New Line’s maiden voyage planned for 2020 (though he admits that this timeline is ambitious). 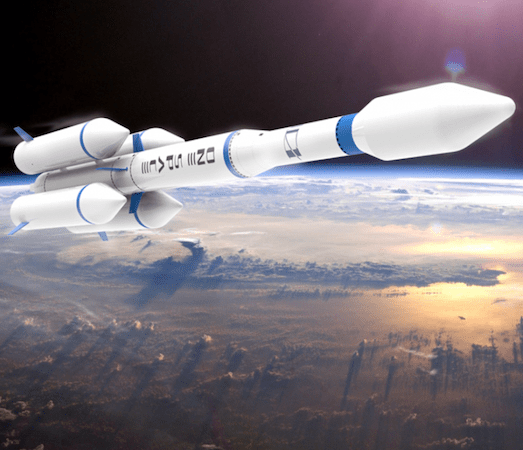 Ultimately, Link Space envisions its rocket being used for international commercial companies and their launches, in addition to Chinese government missions. Another Chinese space startup to note is LandSpace, a Beijing-based company currently developing a small launch vehicle based on the state-run CNSA’s Long March 11 rocket. Beyond LandSpace, there’s also OneSpace. OneSpace’s suborbital research vehicle, dubbed OS-X1, is slated for a first launch in June 2018. A subsequent (and larger) iteration of the rocket, the OS-M series, will target the same smallsat launch market and offer commercial customers low-cost flights to low Earth orbit—perhaps by the end of the year. As China shoots for the stars, cooperation with America’s entrepreneurial space industry would prove mutually beneficial. In recent years, China has proven that when it comes to their ambitious space aspirations, they absolutely mean business. And this could very well mean big business for the global commercial space community as well. By establishing viable privately operated launch vehicles, a host of international customers could be served by Chinese entrepreneurs—a move which would both alleviate the substantial backlog of satellites in need of launch and act as positive pressure for growth and evolution of other countries’ launch technologies. Cooperation between American space entrepreneurs and their Chinese counterparts would promote the growth of industry and accelerate space exploration on both sides of the globe. While tensions between the two global powers will likely persist, at least in the short term, Space Angels is optimistic that our shared goal of deep space exploration and the establishment of an interplanetary presence may yet prove to be a unifying force for progress.